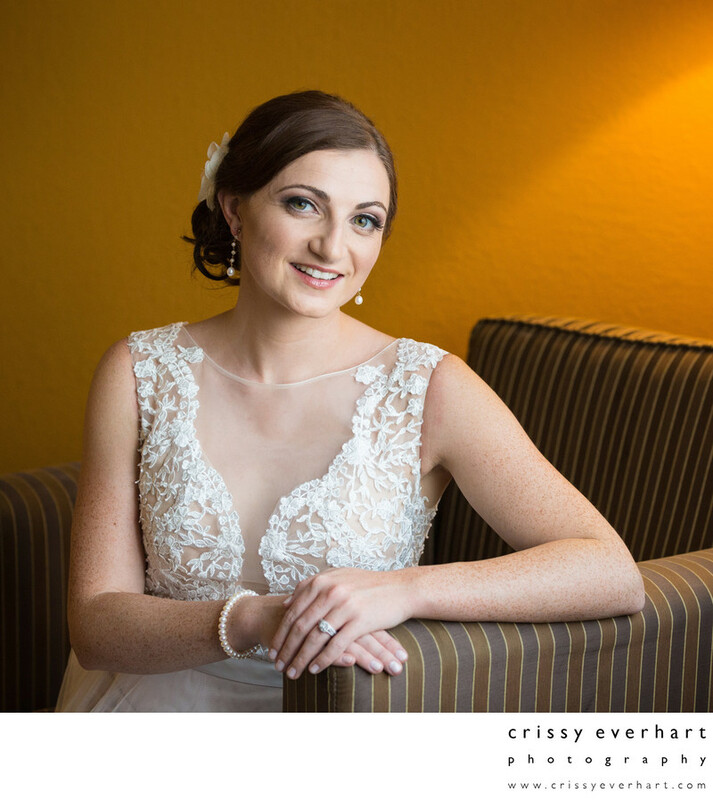 Bride with lace dress leans on hotel chair, lit with window light. This photo was taken before heading to see the groom for the first look! Location: 175 Ramapo Valley Rd, Oakland, NJ 07436.